Today was Day #2 of Chocolate and Peanuts Theme Week. "Why am I eating chocolate ice cream for breakfast when it's so cold outside?" I love ice cream. Thank goodness there are no silly rules like you can't eat ice cream after Labor Day. 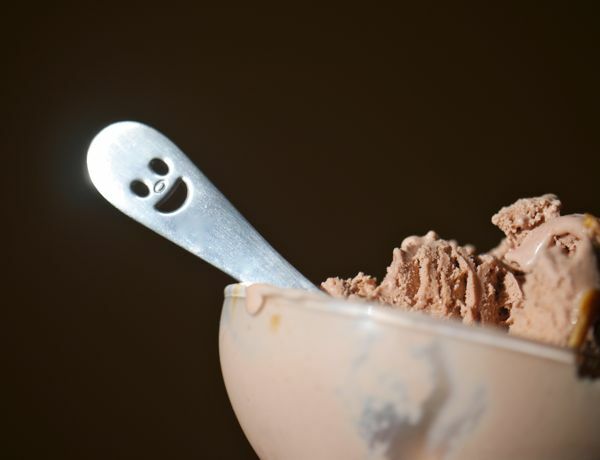 So, here I sit enjoying this rich, creamy treat with my happy spoon. 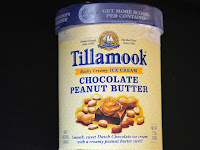 Today's Chocolate Peanut Butter Ice Cream from Tillamook (Tillamook, OR) was a creamy (did I mention how creamy this was? 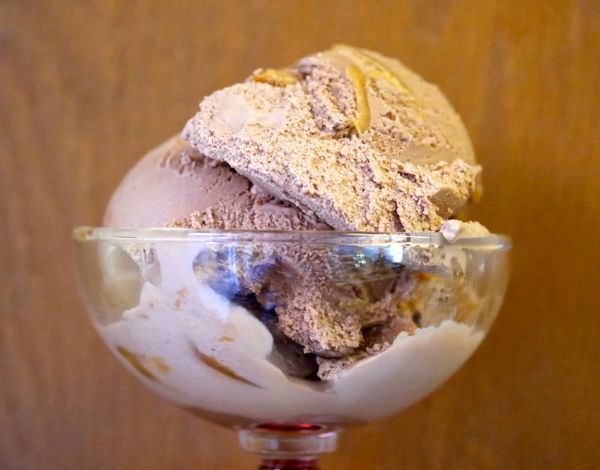 ), satisfying blend of "Dutch Chocolate" ice cream with a swirl of peanut butter. This ice cream was a great example of how chocolate and peanut butter (and cream/milk) complement each other very naturally. Tillamook County Creamery Association is a farmer-owned dairy cooperative in NW Oregon. Tillamook farmers-owners are known for their cheese; but they have also been making ice cream* since 1947. *Tillamook ice cream tastes more "natural" to me than many other ice creams. However, hats off to them for continuing to listen to their customers. 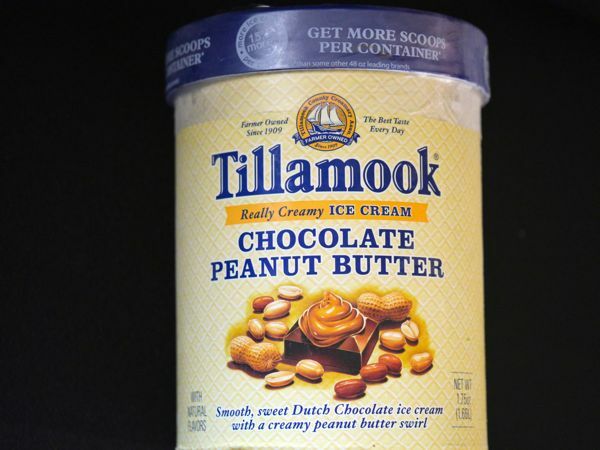 In early 2016 Tillamook plans to simplify their recipe(s) and their ice cream will no longer contain Carageenan, Cellulose Gum, Mono and Diglycerides, and/or Polysorbate 80.